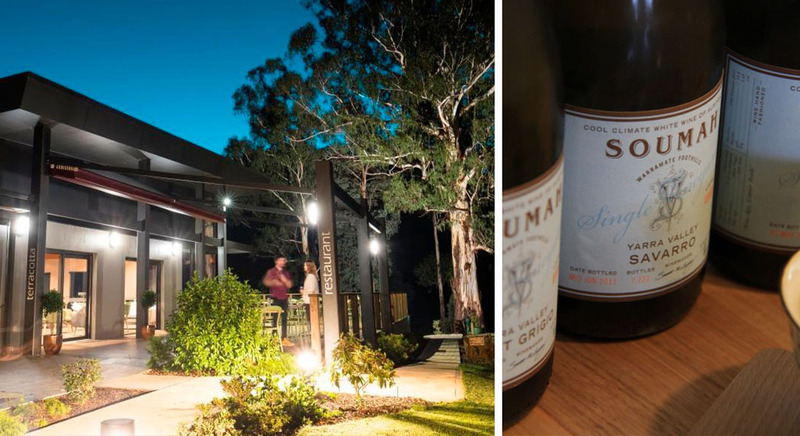 Come and join Soumah for a special five course wine dinner to be held at Terracotta Restaurant in beautiful Marysville. Terracotta is a contemporary restaurant surrounded by the scenic beauty of the Marysville Golf Course. We have teamed up with them to showcase some of our award winning wines and Italian imports perfectly matched to some of their finest locally sourced dishes. With a line up including our 2017 Hexham Vineyard Viognier, 2016 Hexham Vineyard Pinot Noir and from Italy – the Ellena Nascetta and Cantina d’Isera Marzemino and to finish – our very own 2016 Brachetto Tranquillo, it’s a night not to be missed. Held on Saturday 14 April from 6.30pm, enjoy five courses including selected wines for only $110 per person. Bookings required to Terracotta – phone 03 5963 3241 or email mail@terracotta-room.com for further information.